The question is not ‘Should I stop drinking alcohol before surgery?’ but ‘When should I stop drinking alcohol before surgery?’ The answer depends on how much you normally consume and what kind of surgery you are going to have. 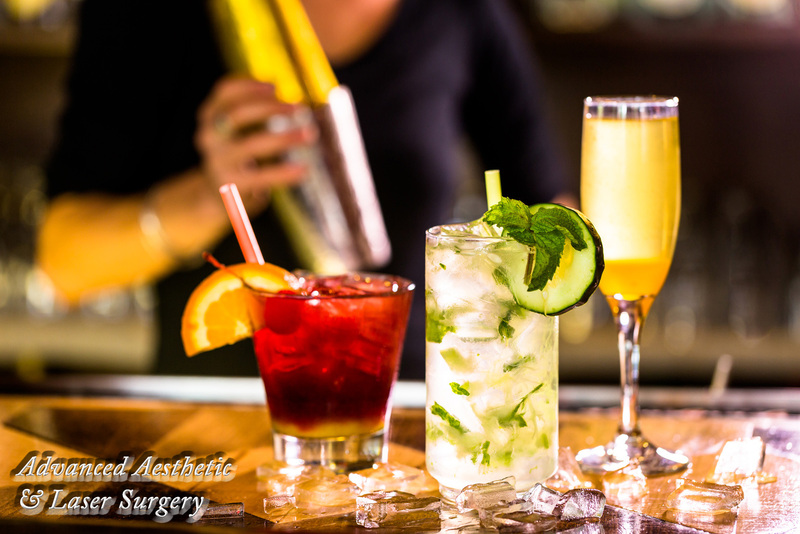 If you have several drinks on a daily basis, you likely need professional help to curb your habit and should probably not be considering any form of elective surgery until this problem has been resolved. Red wine, in particular, can actually contribute to bleeding problems with surgery as it may contain a naturally occurring blood thinner. No red wine should be consumed for at least two weeks prior to any surgical procedure. All forms of alcohol are considered toxins by the body and are treated as such by the liver which works to rid the body of poisons. The mechanism by which the liver performs this function is called the Cytochrome P450 (CYP) system which also metabolizes and eliminates medications such as narcotics and drugs used during anesthesia. Patients who regularly consume significant amounts of alcohol have ‘revved up’ their CYP system so that it is ready to work overtime. As a result, these individuals generally require larger doses of anesthetic to maintain an appropriate level of anesthesia as well as higher narcotic doses to reduce their pain both during and after surgery. Higher medication doses may have consequences of an increased risk of other complications as well as more nausea associated with surgery and anesthesia. The bottom line is, the less alcohol you drink prior to surgery, the better. Alcohol also causes dehydration, which is a bad thing to have, especially when you are going to have surgery. Absolutely no alcohol should be consumed within 72 hours of an elective procedure and it should be strictly avoided while taking narcotics for pain after surgery. Contact Us to speak to James D. McMahan, MD, FACS to schedule an appointment to discuss any surgical options that are best for you!